La Colmena Amado No. 36 Panatela from Warped Cigars EL OSO "Mama" from Warped Cigars. The highly anticipated release in its newest size 7" x 38 Long Panatela shape. This San Andres wrapper from Mexico adorns a blend worthy of this beautiful leaf. Made in limited quantities to ensure exceptional quality. Nicaraguan puro of some of AGANORSA's finest tobacco crafted into an exquisitely balanced and flavorful medium-full strength blend. La Hacienda Superiores Box of 25 Cigars - Nicaraguan Puro from Warped Cigars The Oliva Serie V - Ligero Especial is a stunning blend of all Nicaraguan tobaccos rolled in Oliva's Nicaraguan factory. This puro contains long filler of specially fermented Jalapa Valley ligero, a Nicaraguan binder, and finished with a high priming Habano Sun Grown Wrapper. The high priming of the wrapper leaf contributes the extra oil and potency of flavor and spice. This highly rated blend (numerous 90+ ratings) has a full body, full strength, and full flavor. Combine these powerful elements with the prominent tobacco, coffee, and chocolate flavors, along with the true artisan quality of this blend and you end up with an expertly balanced and smooth smoke that will never overpower you, but will leave you wishing this Torpedo was longer than its 6" x 56 ring size. Padr�n is among the finest cigar makers out there. Their quality and consistency is second to none. They grow the leaf, cure it, and roll them into exceptional cigars that are also one of the finest values out there. 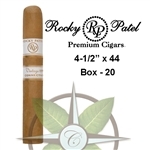 The Padr�n 3000 Maduro is a Nicaraguan puro that measures 5-1/2� x 52 and is box-pressed. This is a great size stick that has been a mainstay in our humidors forever. The blend smokes easily for a medium-full strength Nicaraguan blend. The flavor is a great combination of dark, bitter chocolate, roast coffee, and an underpinning of some hickory smoke to provide structure. Extremely balanced, and consistent, this cigar will smoke steadily from first light to burning the ash past the band. As a Maduro the flavors are a bit richer and deeper. Padr�n always delivers. Besides, your humidor really is happiest with Padr�ns in it. The Omar Ortez Maduro is the Nicaraguan-made sibling to the first blend of this line, the highly rated Omar Ortez Original. This cigar is a no-frills blend of flavor, body, and down to earth earthiness, cinnamon spice, and rich smoke. The wrapper is a maduro leaf from Nicaragua whose spice and richness aligns well with the Mexican binder. The Nicaraguan and Panamanian filler moderates the power and spice of the wrapper and binder. Plenty of flavor, reasonably well balanced, and well constructed (exceptionally well at this price-point) this Toro is a workhorse that deserves a spot in your standard rotation. EL OSO "PaPa" from Warped Cigars. 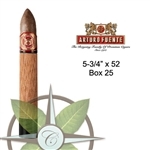 The highly anticipated release in its 6"x48 Belicoso shape. This Habano Oscuro wrapper from Ecuador adorns a blend worthy of this beautiful leaf. Made in limited quantities to ensure exceptional quality. 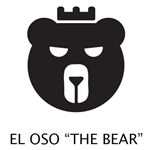 EL OSO "Cub" from Warped Cigars. The highly anticipated release in its 4"x44 Rothschild shape. This Habano Oscuro wrapper from Ecuador adorns a blend worthy of this beautiful leaf. Made in limited quantities to ensure exceptional quality.